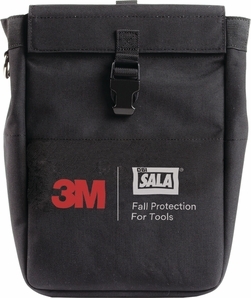 The 3M� DBI-SALA� Tool Pouch is constructed from a heavy duty canvas, with an inner lining to help prevent punctures. This rugged tool pouch is engineered to last. Multiple inner pockets accommodate a number of tools, while built in D-rings makes tethering tools incredibly easy. This tool pouch variant includes two Trigger staging points. Multiple D-Rings around the pouch are each load-rated for 5 lb (2.3 kg). While not in use, a tool can be staged from the included trigger staging points included in this pouch.